The only resource of its kind for those wanting to practice and grow their intuition with animals! Join your new community today! 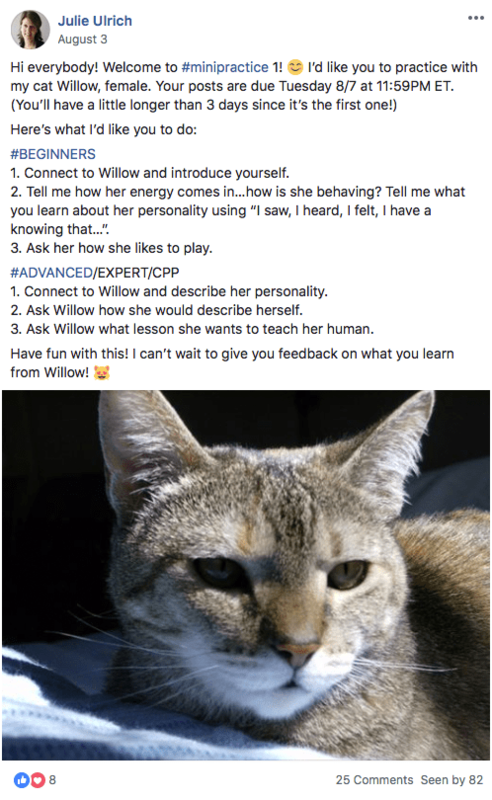 Want to try your hand at animal communication? Enjoy exploring all things psychic? Be Open is your new home! Danielle’s private session waitlist was wayyyyy too long. She needed a way to connect with people faster – Be Open is that way. This is the world’s only resource devoted to those who want to develop and expand their intuition and also possess a great and deep love for animals. With live video webinars, an active community, intuitive practices, and live and recorded mini-classes, you’ll have everything you need to become the intuitive you’ve always wanted to be! The Be Open community is one of support, guidance, love, and curiosity. Whether you’re trying out a live practice, throwing questions out to the group, or sharing your heart in the live webinars, the way you choose to participate is totally up to you! Through Be Open, you not only get access to Danielle, you also gain a safe, supportive family in the Be Open community too! Check out this real-life example of a Be Open intuitive practice! 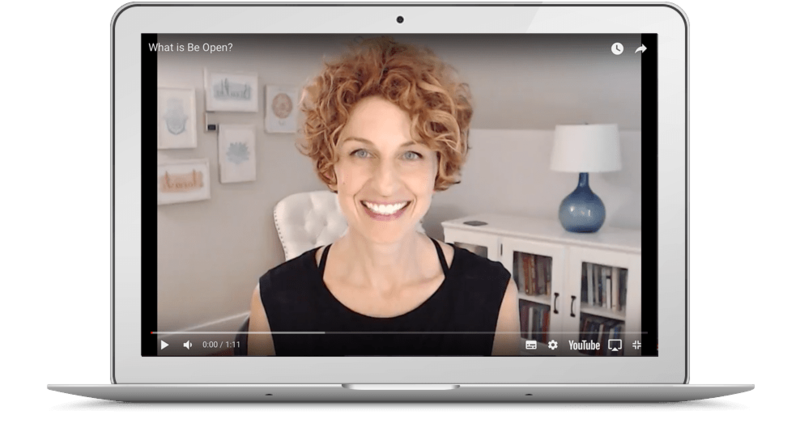 Be Open Practices provide intuitive exercises so you can hone your budding skills, while also receiving confirmation from Danielle, her Certified Practitioners, the community, and from the practice subjects themselves! Every intuitive practice is structured to work with you are your level – whether you’re just starting or you’re an expert. Live learning, interaction, and more from Danielle and your community of like-minded peeps! Live and recorded just for you! Whether it’s the monthly Be Open webinar, a 10-minute mini-class, or weekly course, there’s always something to do in Be Open. Can’t make a live webinar? Everything is recorded for you and can be found right in your dashboard. It’s there for you 24/7! Free to Be Open members! Want to know what other cool webinars, classes, and mini-classes are coming up in Be Open? Check the Be Open Events CALENDAR here! Open and investigate your intuition with an expert! 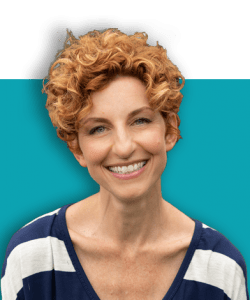 With more than eighteen years as a professional animal communicator, intuitive coach, speaker, teacher, and author, plus the success of the Danielle MacKinnon School of Animal Communication, Danielle knew she had to create a place where people could come together to explore, experiment, and get support. Be Open is exactly that place! Be Open is more than a community – it’s your treasure chest full of classes on Animal Lessons, Soul Contracts, opening your intuition, moving through challenges, avoiding psychic overload and more – free to all members! It’s always better to hear it straight from the horse’s mouth. I asked a few Be Open’ers to share their one favorite thing about Be Open and here’s what they had to say! If you’re interested in animal communication, intuition, and soul growth, you have probably (like almost everyone in Be Open) spent your life feeling like you didn’t belong or were “different” somehow from the rest of the world. Well guess what? You’re not! You just hadn’t found your tribe yet! 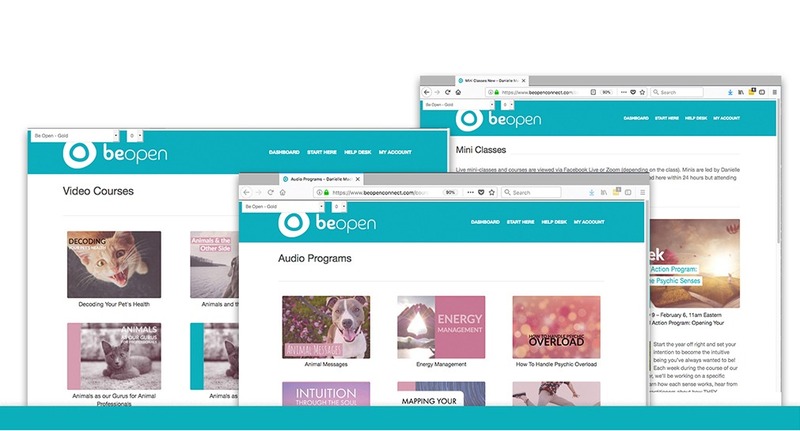 Be Open also offers hours of audios and videos geared toward helping you expand your intuition with animals, open your psychic abilities, grow closer to the animals in your life, overcome obstacles, and manage your energy. Worried about psychic overload? Concerned your clairvoyance isn’t up to snuff? We’ve got that covered! I got my start in animal communication nearly two decades ago when I took my ailing puppy to see a pet psychic. This was a big deal for me. I was an MBA working in telecommunications for a Fortune 500 company. I’d been raised to believe that live was purely physical – there wasn’t anything beyond what we can see. So, seeking help from a psychic – never mind a PET psychic – was a big deal for me. It was going against everything I was taught. And yet, there was no question within me. I was going to have that session. That session changed my life. I realized I’d been intuitively connecting and communicating with animals my entire life. I began to understand that many of the emotional challenges I’d experienced growing up weren’t flaws – they stemmed from my natural sensitivity. Over time, I’ve come to fully embrace my sensitivity and now, I teach others to do the same. I teach at some of the most highly esteemed institutes in the country (like the Omega Institute and Kripalu Center) and I’ve now taught thousands to communicate intuitively with animals through my workshops, live webinars, and video programs. I’ve also helped people change their negative self-beliefs through my programs and individual sessions, and I’m running my own school, the Danielle MacKinnon School of Animal Communication. Today, I am SO happy I didn’t continue down the path of big business. It just wasn’t for me. 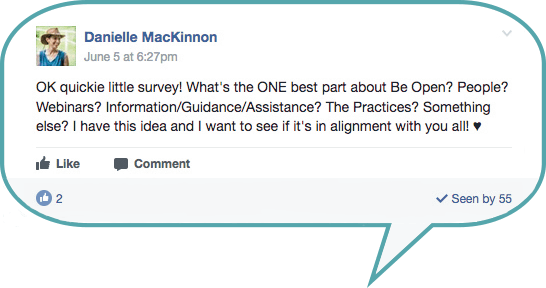 Check out what the community has to say about their Be Open experience! I’ve only been in Be Open for a short time, but it’s a life changer. You guys have infused this little space with some great vibes! How is it possible that a virtual community is so honestly real and supportive that it leaps out of the electronic ether? In just a few months, Be Open has mastered the art of building a network of animal communicators – from beginners to experts – that works together, mentors, shares fears and triumphs, and just plain IS. If you’re looking for human or animal connections, this is where you belong! Be Open is an online intuitive development community that allows you to explore your intuitive gifts in a safe and loving environment. Danielle MacKinnon is a Master, although she’s not likely to call herself that but I most certainly do! With her guidance and that of the community, you can name your gifts, develop them, and begin putting language to this otherwise abstract subject known as animal communication. Thank you for developing this community, Danielle!! When you are fortunate enough to have received an intuitive gift of any kind, it can be hard not to feel scared and alone. Be Open is the first community where I have felt no fear of judgement because I‘ve found my tribe – truly kindred souls. I feel as if I’ve taken a big deep breath of fresh air, not having realized that before this, I had been holding my breath all along. I joined this group because of my love for animals and a sense they have a bigger purpose that we as humans cannot comprehend. I chose Danielle MacKinnon because I see her as the animal kingdom’s personal angel. My experience of this group has exceeded my expectations. Danielle and the community are generous, loving, and nurturing. I know my connection to Spirit can only expand in this environment. Danielle is a Master Teacher and Coach. Want to learn more about Be Open? Check out the Q&A webinar right here! You’re just 30 seconds away from having the intuitive information, assistance, and guidance you’ve been looking for. PLUS a 24/7 supportive mastermind community, intuition and animal communication practice, and a super cool place to get your questions answered. When you’re Being Open, everyone has your back! Join Be Open for $30/month! Join Be Open for $277 per YEAR!